Everyone wants to save and share great moments with friends. That’s why we take loads of pictures with our cameras and especially with our smartphones. Take a look at your own pictures and you will be surprised how many selfies and pictures of friends you take; you might call them digital portraits. Portraiture began centuries ago and was particularly popular during the Renaissance, mostly on request of the person portrayed. 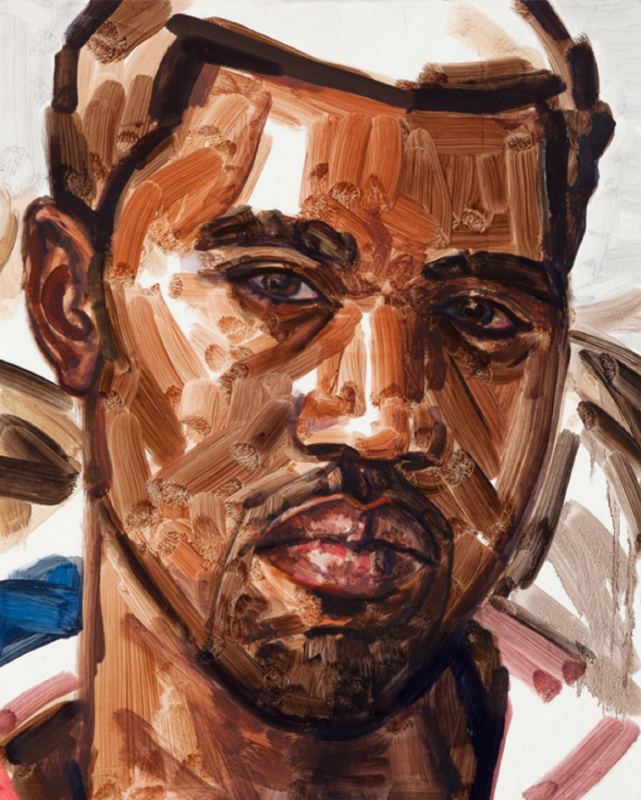 But what about today: are portraits still being painted in this digital age? Do artists handle their subject as in past times? I started my research by browsing in my old schoolbooks about contemporary art and found quite a few artists still painting portraits. 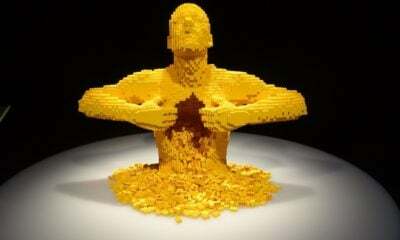 It must be part of human condition: We surround ourselves with people, in real life and in art. Though, there are many differences with the classic portraits. It has become clear to me that a contemporary portrait is not just a representative image of a certain person, but a more complex work. Besides the person portrayed, there are other elements that play a part in making a portrait of someone. 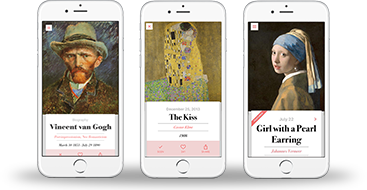 It might give us an insight into the artist himself or we might learn more about the situation or personal history of the portrayed. Are you ready to meet 10 contemporary portraits? Let’s start with a well-known artist, who has his work exhibited in the Tate Gallery and MoMA: John Currin. This American painter is known for his provocative paintings in Renaissance style. Many of the people he paints seem ecstatic or at least have a surreal look in their eyes. He has a realistic brushwork, but if you look closely at the works, you see that he often distorts his models. The woman portrayed here is Rachel Feinstein, his wife and sculptor. She is also a model and struts down the catwalk for fashion designer Marc Jacobs. 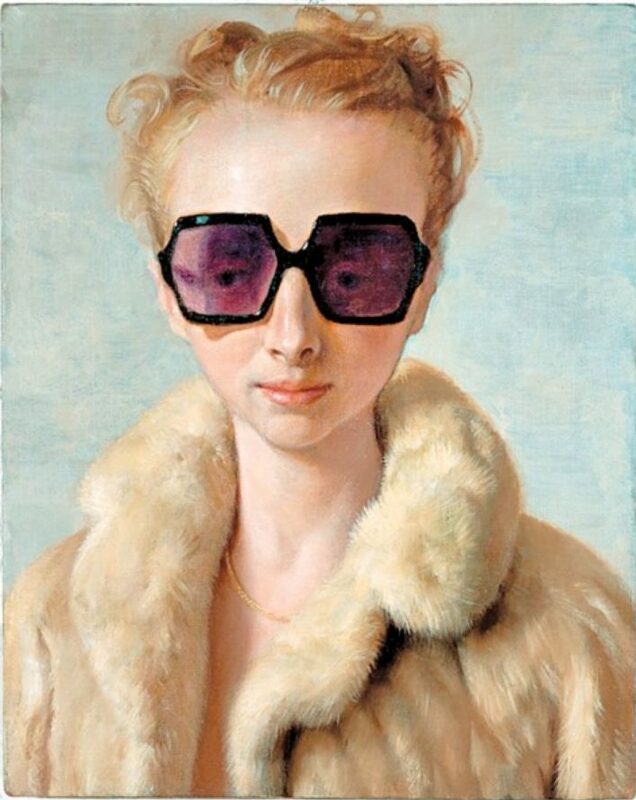 Herein Currin finds his inspiration for this portrait: it is derived from an advertisement for a fur coat. But I must admit that she looks much more glamorous on the ad, and so it seems that she has become quite bored whilst being portrayed by her husband. Or did Currin deliberately depict his wife like this? 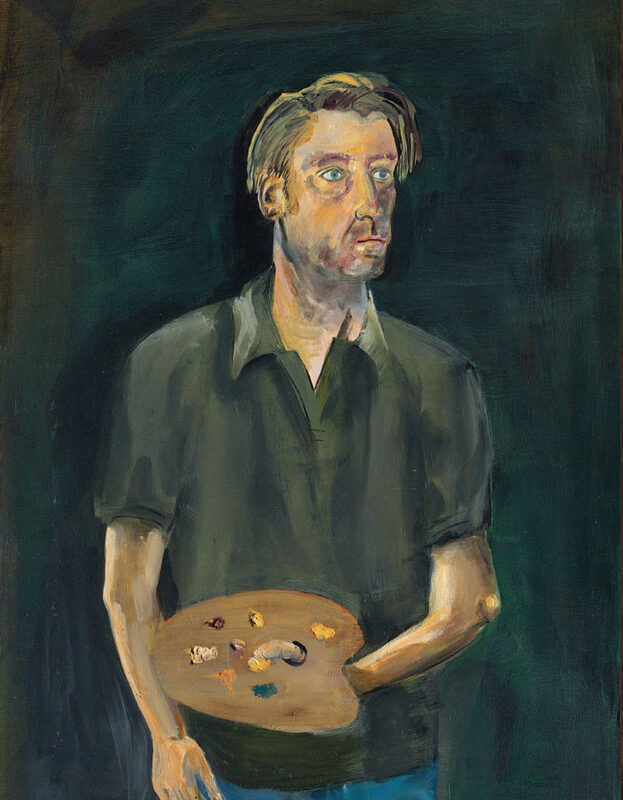 Albert Oehlen already has many self-portraits on his record, from 1983 to the present, using an expressionist style of painting. He was part of the German ‘Neue Wilde’, the politically-affiliated art movement that stood for “Wild Youth,” trying to undermine the German authorities in the 1980s. That explains his strange self-portraits. To give you an idea, he once portrayed himself with three eyes and two noses, on another self-portrait with his face upside down but his hair right side up or again as a one-eyed cyclops. Even in more traditional ways to introduce himself (with a paintbrush, a horse or two skulls), he takes unconventional positions, so you would say that he makes parodies of traditional self-portraits. He certainly is an artist who dares to question himself. Peyton is an atypical artist who voluntarily limits herself to making portraits. 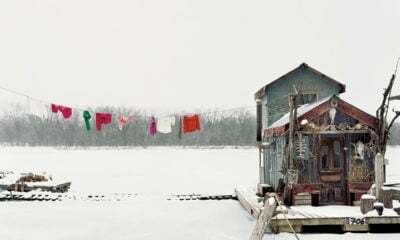 With her colorful works, she embraces celebrity culture and presents a document of a particular period. Since the late ’90s, she has painted popular musicians such as Kurt Cobain, David Bowie, Eminem, Kanye West and Noel and Liam Gallaher of the rock band Oasis. In this time of Instagram and Pinterest, it’s quite unusual to see today’s pop artists portraited in the classic form of a painting. 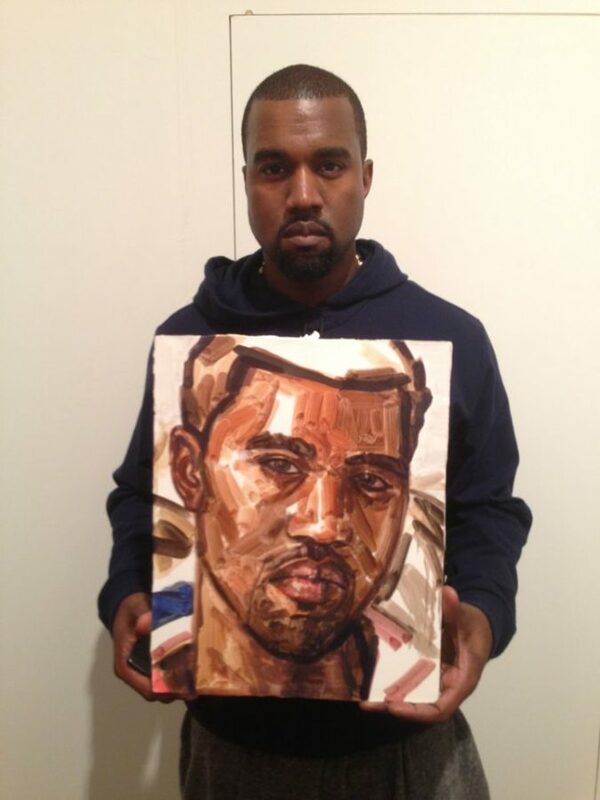 Though, I believe that Kanye West is quite proud of his portrait because he allows it to be photographed and posted on Pinterest. Also Merlin Carpenter paints popular culture and has made close-ups of Blondie, Amy Winehouse, Kurt Cobain, Audrey Hepburn and Michael Caine. He is clearly inspired by the prints of Andy Warhol. 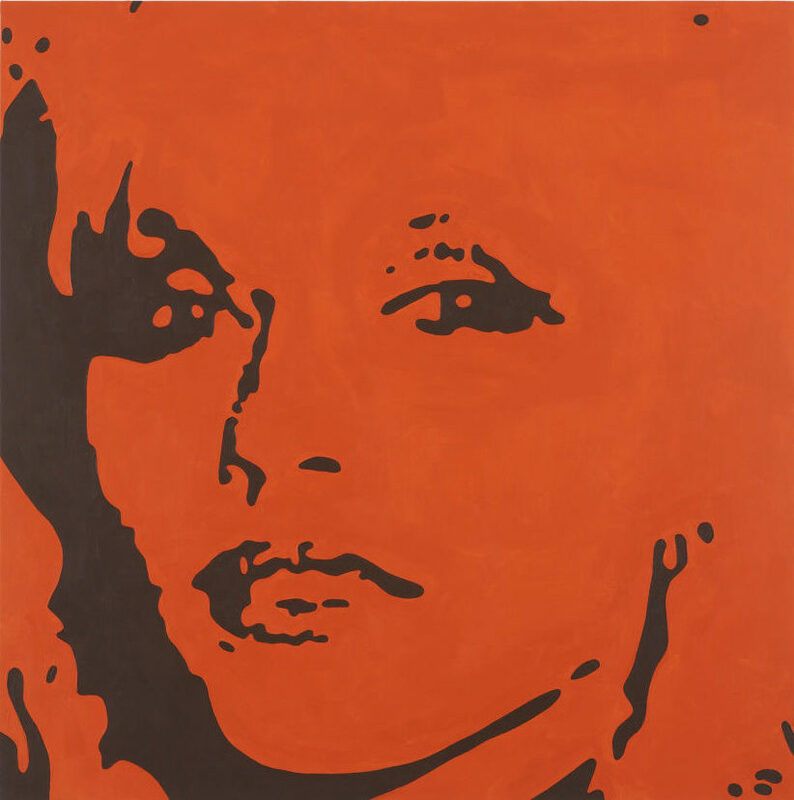 His poppy portraits look like Warhol’s monochrome Marilyn Monroes. 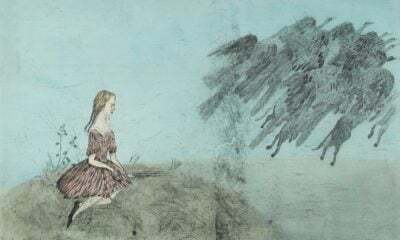 This French painter, born in Paris in 1946, is inspired by the mythical characters in literature. To understand his paintings, a certain knowledge of la commedia dell’arte, Don Quixote and even the Bible or the Kaballah comes in handy. 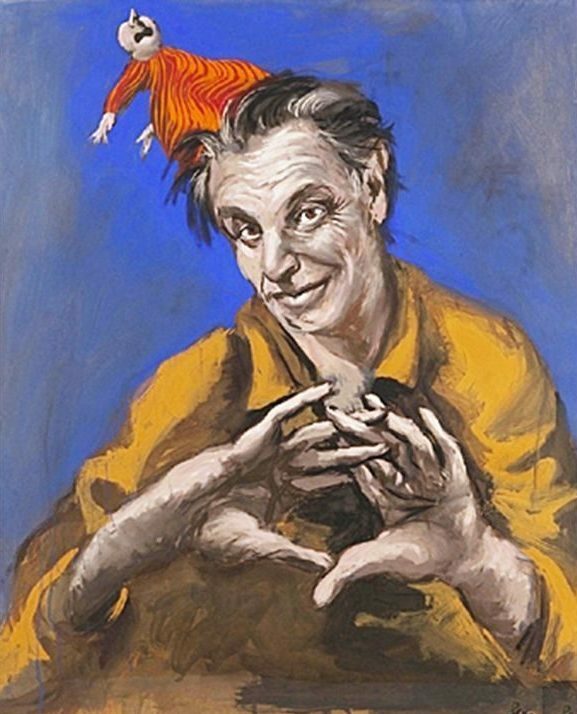 In the self-portrait that he painted 9 years ago, he portrayed himself as a fool coming straight from the theater stage with a puppet in his hair. I think it’s a strange setup, but on the other hand it seems that the puppet is whispering the inspiration into his ears. This Polish artist was 13 years old when the Berlin Wall fell. 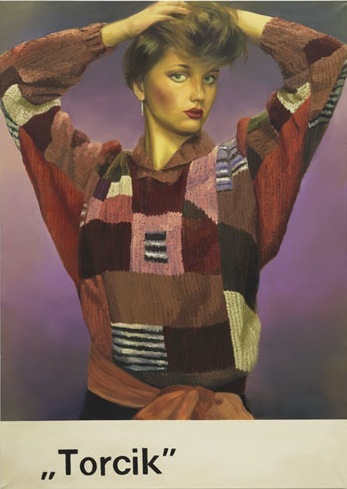 For her series of Eastern Bloc women wearing ’80s-style sweaters, she clearly borrowed stylistic elements from socialist/communist propaganda posters. The women portrayed have a determined look, as if they are convinced of their ideals. Those could be political ideals but also non-political ideals, as indicated by the out-dated sweater. A funny wink is never far away in these portraits. The man portrayed here is King Baudouin I, who reigned over Belgium from 1951 to 1993. During Baudouin’s reign the colony of Belgian Congo became independent, hence the friendly title of this work: Mwana Kitoko means ‘beautiful white man’ in Congolese. 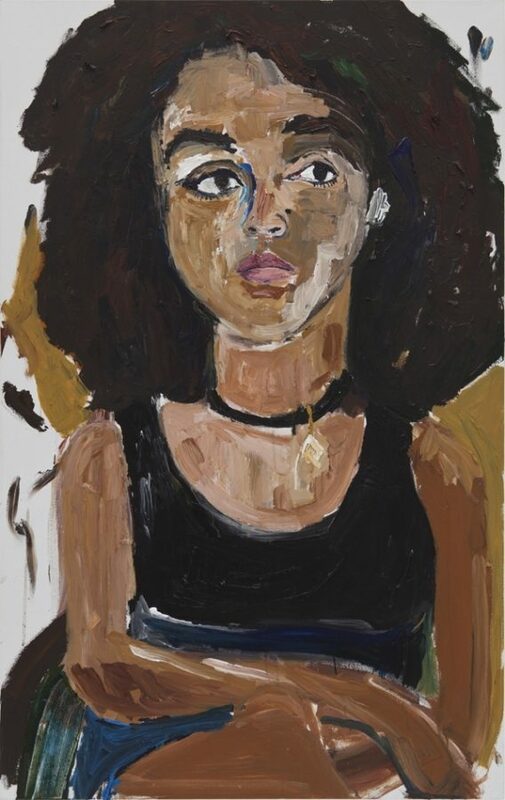 Luc Tuymans has painted a series related to the colonial past of Belgium, such as the portrait of Lumumba, who served as the first Prime Minister of the independent Democratic Republic of the Congo. 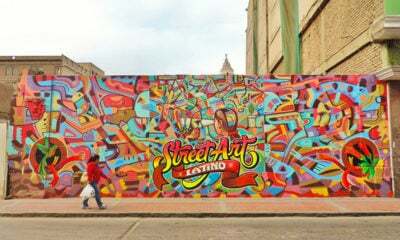 It shows an intense interest of the artist in a turbulent part of his country’s history. The characters in the paintings of Victor Man are bathed in a nocturnal, mysterious light. Perhaps he inherited this way of painting during his three-year stay in a monastery in Jerusalem. 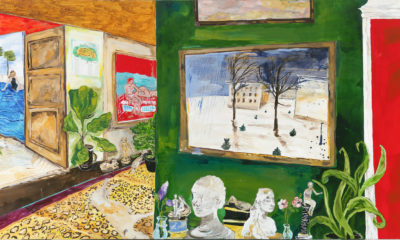 His way of painting seems to go back to the style of Edouard Manet and Paul Gauguin. 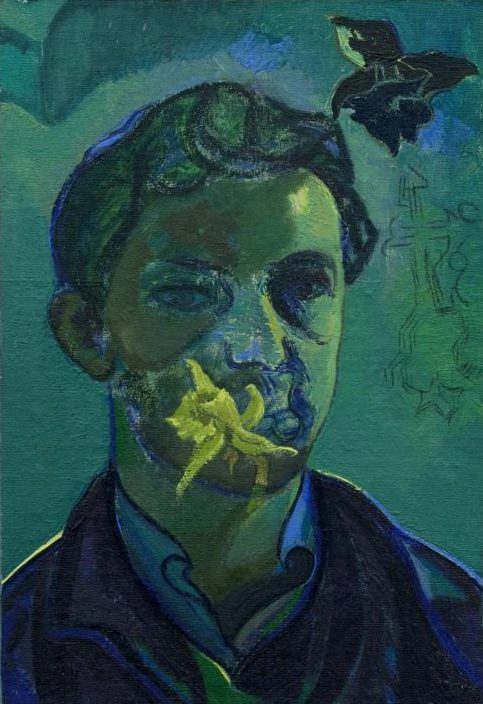 In this melancholic self-portrait he holds a flower between his lips, as if he wants to tell us something without saying it. It seems like a dream image. To end this series of portraits, I thought it would be interesting to show a more abstract work. Avery Singer uses 3D graphic programs and has experimented with the software Paintbrush before painting her figures on the canvas. 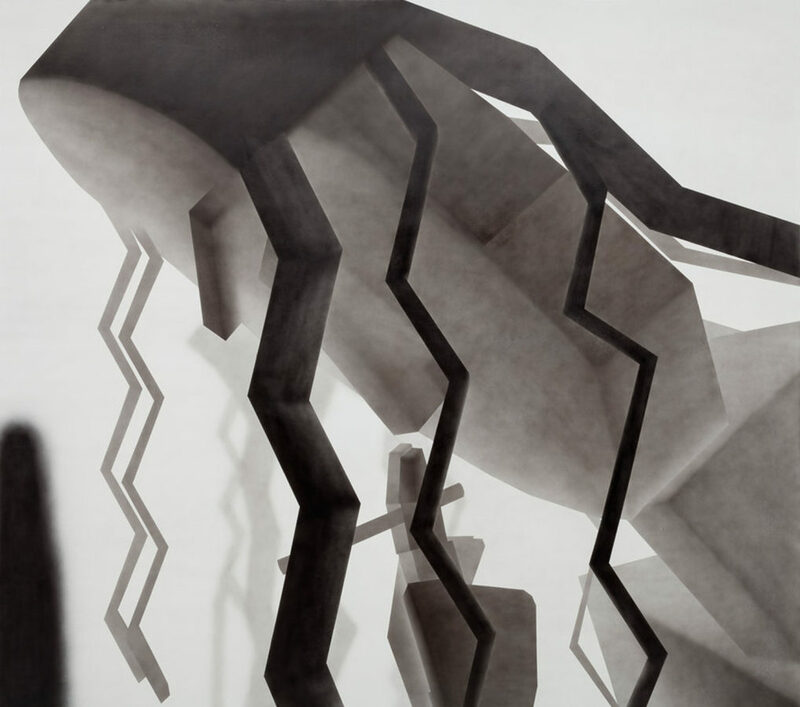 The geometric figures in her paintings are halfway between human and robot. They are composed of three-dimensional building blocks and therefore the compositions look very futuristic, but in the same time they refer to the Cubism of Pablo Picasso and Georges Braque or to the Russian Constructivism of the 1920s. The different layers of tones of grey underline the futuristic character of the works and create a certain depth in the painting. Lee Krasner was not only the wife of Jackson Pollock, the leading Abstract Expressionist, she was also a pioneer of abstract art herself.  The link with Singer’s work is easily made.